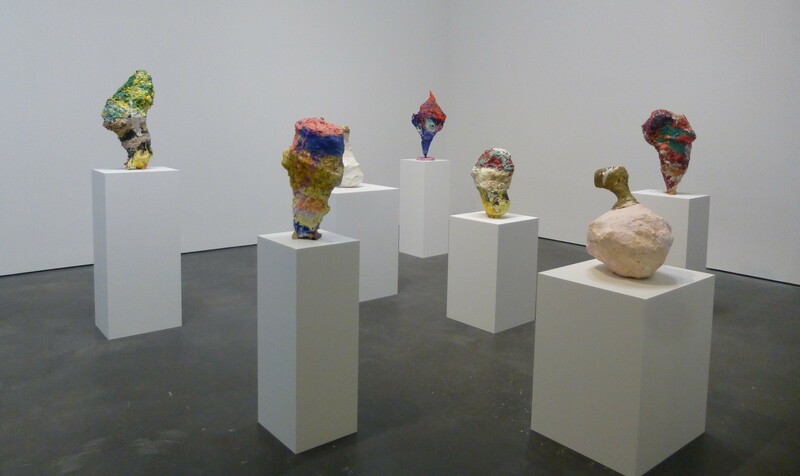 Do you enjoy the sculptures and paintings of the late Austrian artist Franz West? I sure do. 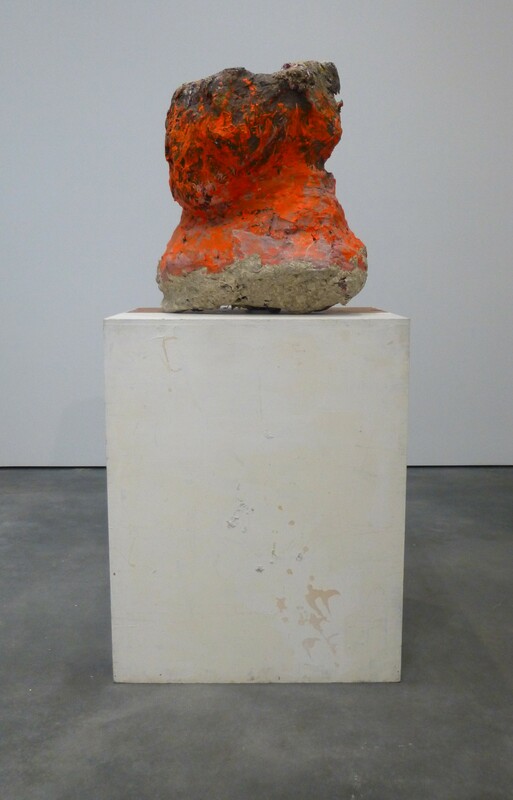 I remember when I initially misidentified a group of West’s Sculptures as being by Julian Schnabel, but my friend Mark Kostabi (oops, I dropped something) told me that the artist was actually Franz West. 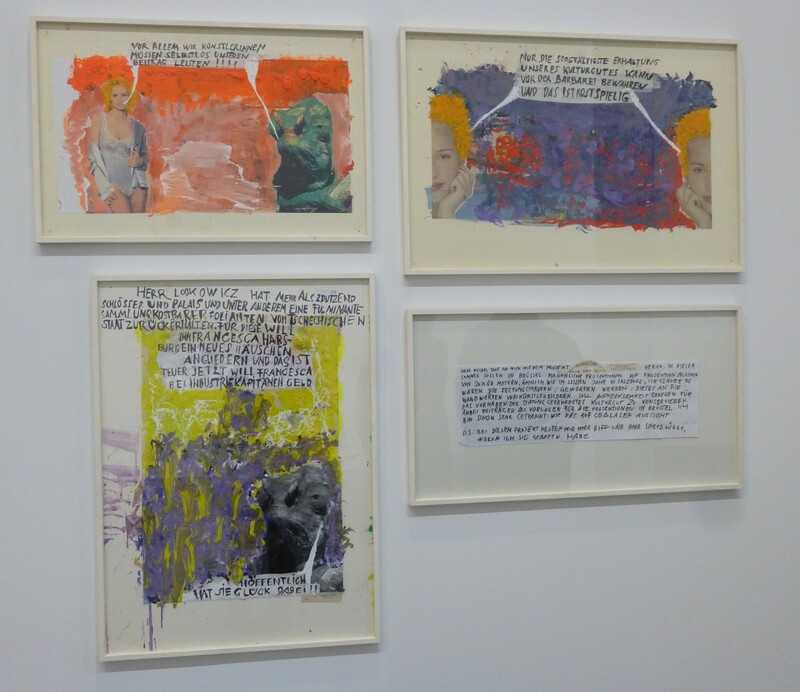 Since then, I have learned to sight-identify West’s artworks from his very distinctive style. 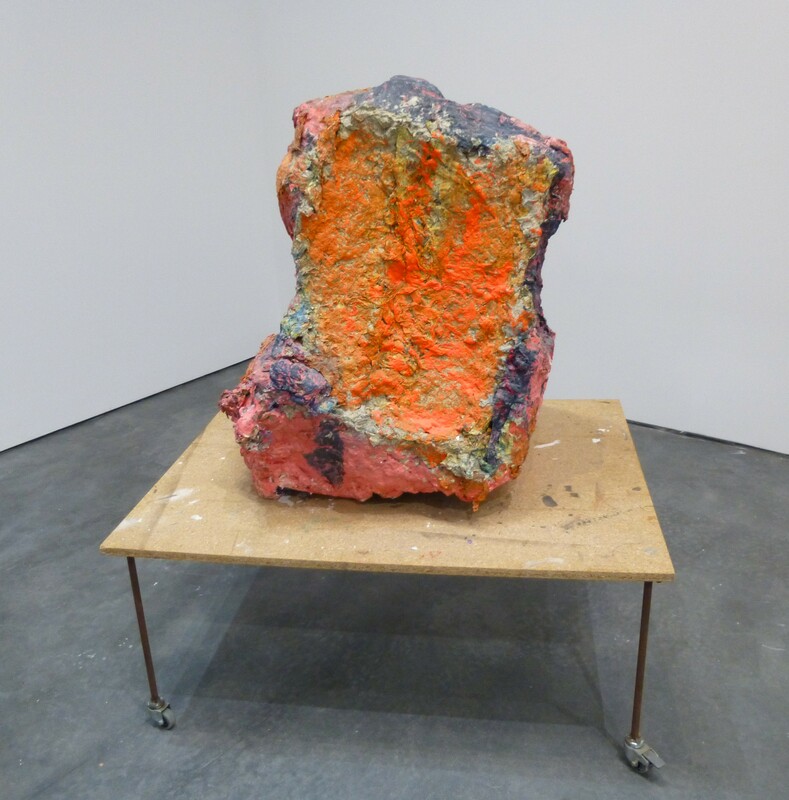 Franz West! 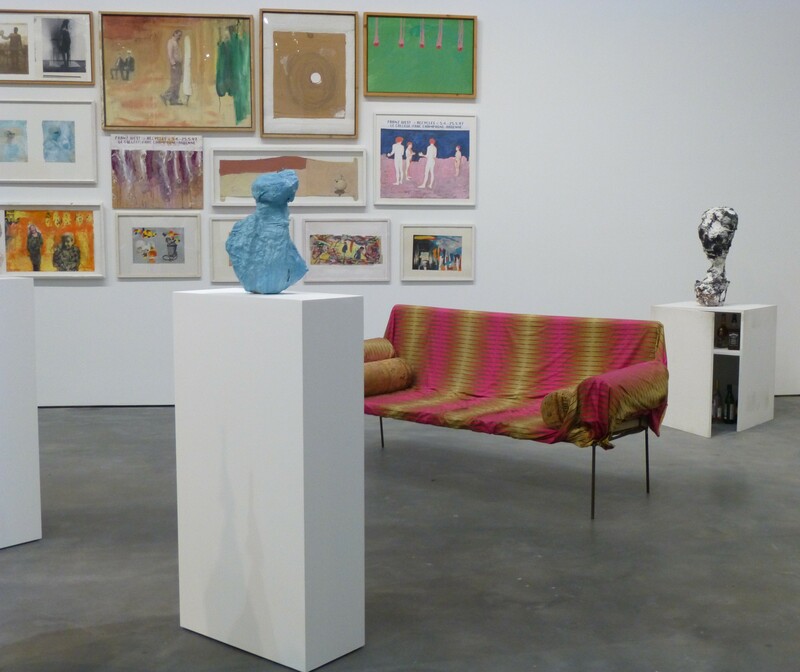 David Zwirner Gallery is currently hosting an exhibition of works by Franz West — created during the 1990s — at its 537 West 20th Street location. 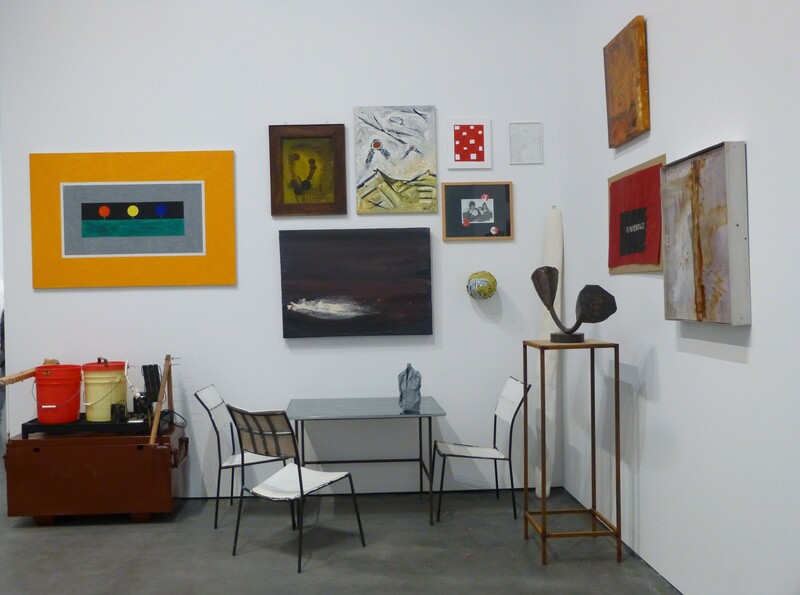 I discovered this accidentally when Geoffrey and I were doing an art crawl in the Chelsea Gallery District this past Saturday, passing time before the George Condo exhibit’s opening reception started. Here are some pictures I took of the show! I like this one a lot. It reminds me of an Ice Cream Sundae. These freeform sculptures are in the front rooms of the gallery. This one is awesome. I love the bright colors. 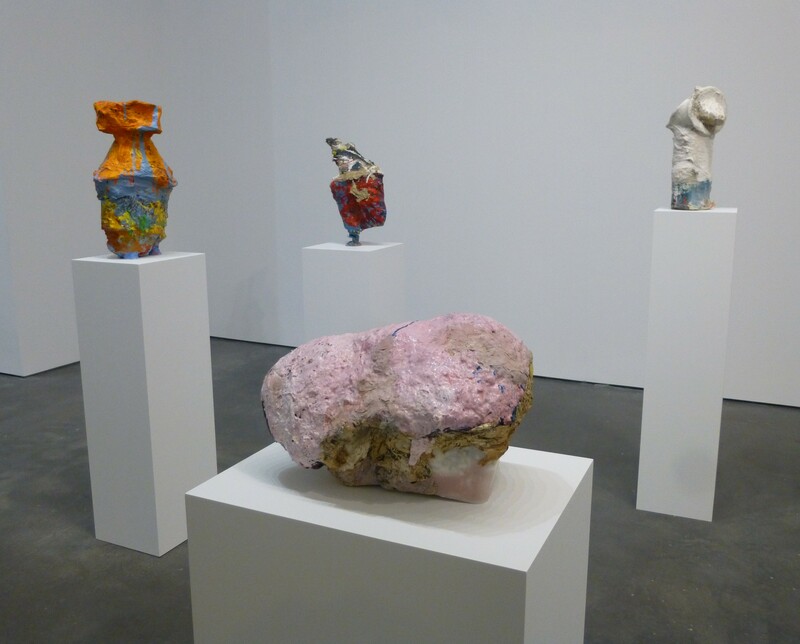 These sculptures look like rocks covered with encaustic, but I believe they are all papier-mâché. Here are some of West’s drawings with words on them. The writing is in German, so I don’t know what it says. The exhibit also presents a group of the artist’s large-scale, anthropomorphic Lemurenköpfe (Lemure Heads), which playfully meld sculptural figuration and abstraction. 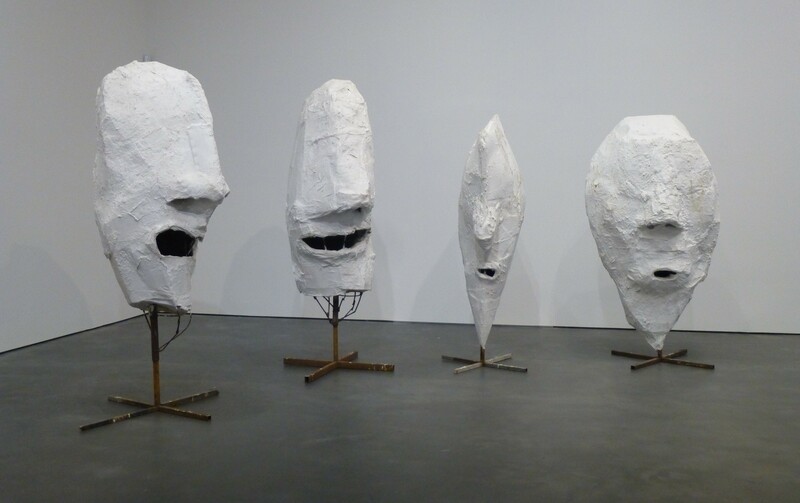 These heads were first shown at documenta IX, Kassel (1992). 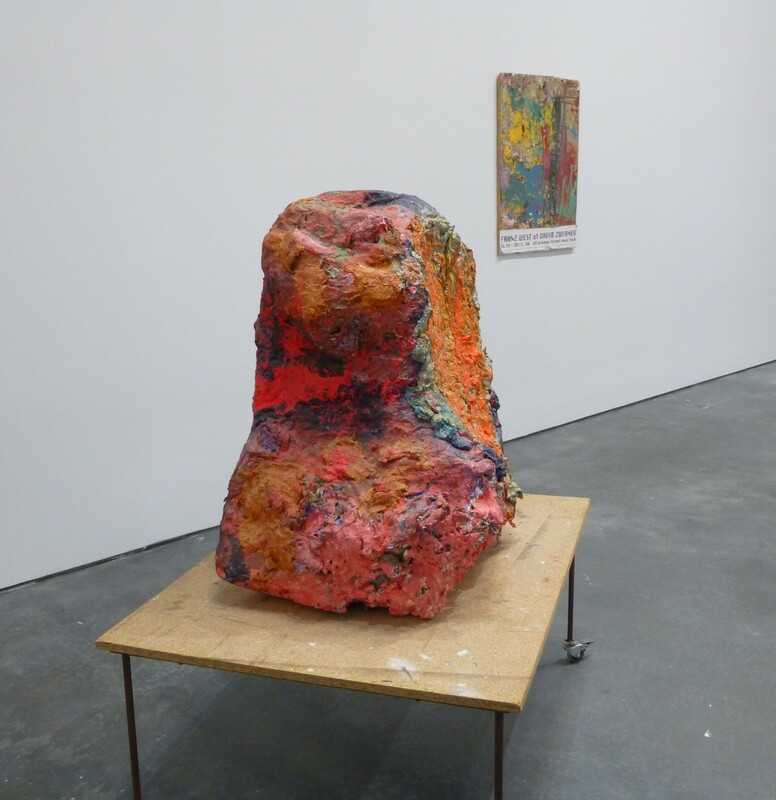 The Worley Gig Gives Franz West at David Zwirner Two Thumbs Up! 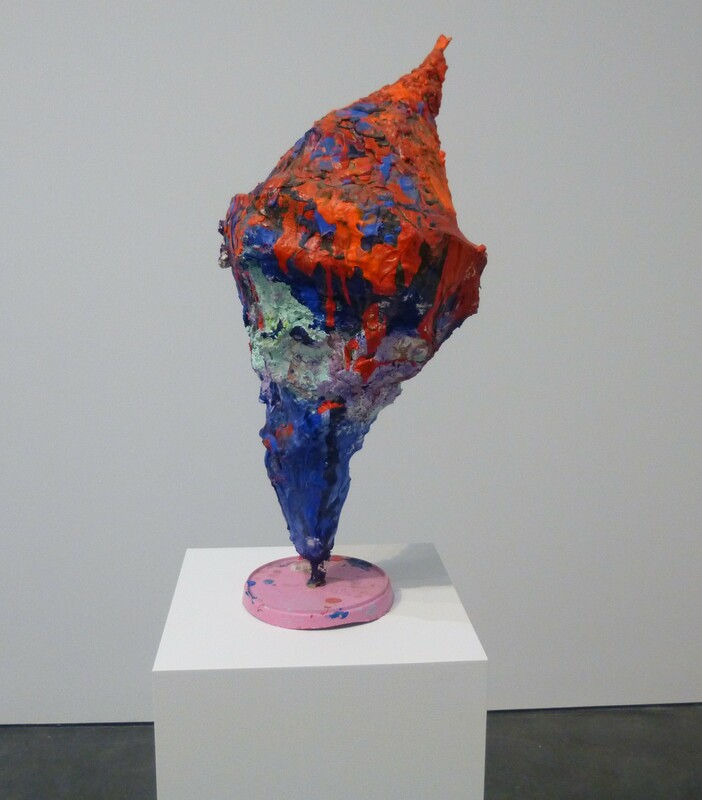 Works By Franz West will be on Exhibit Through December 13th, 2014 at David Zwirner Gallery, Located at 537 West 20th Street in the Chelsea Gallery District.